You know those really posh cupcakes that people are always raving about? Oh, sure you do. The ones with ridiculous flavors and lots of fancy sugar toppings and $5 price tags? Those cupcakes. 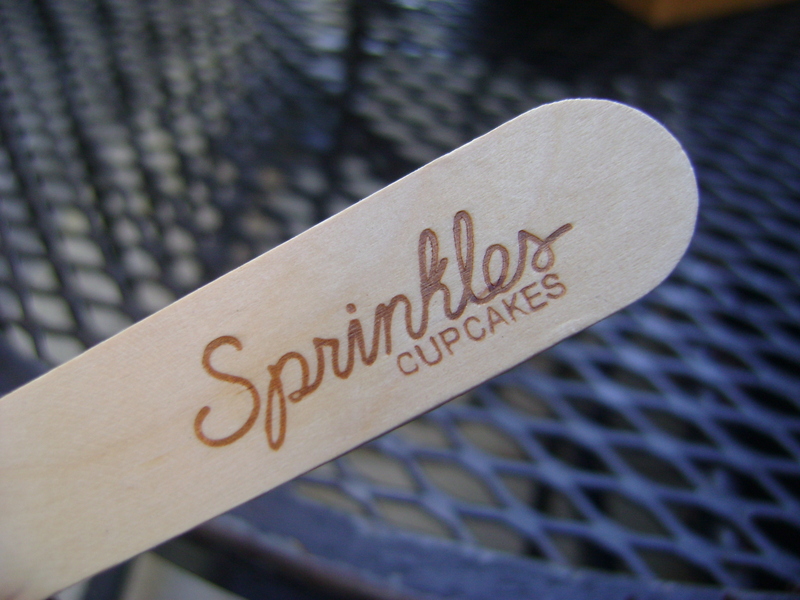 A while back while on a press check, we made a sort of valiant effort to go to Sprinkles, the LA cupcake chain. Apparently they’d just opened in Dallas, and since that’s where we were, we thought it would be a good side trip. Things happened, and no cupcakes. So mostly I forgot, because we came back to Atlanta and then a couple of amazing shops opened here, and it wasn’t that important. 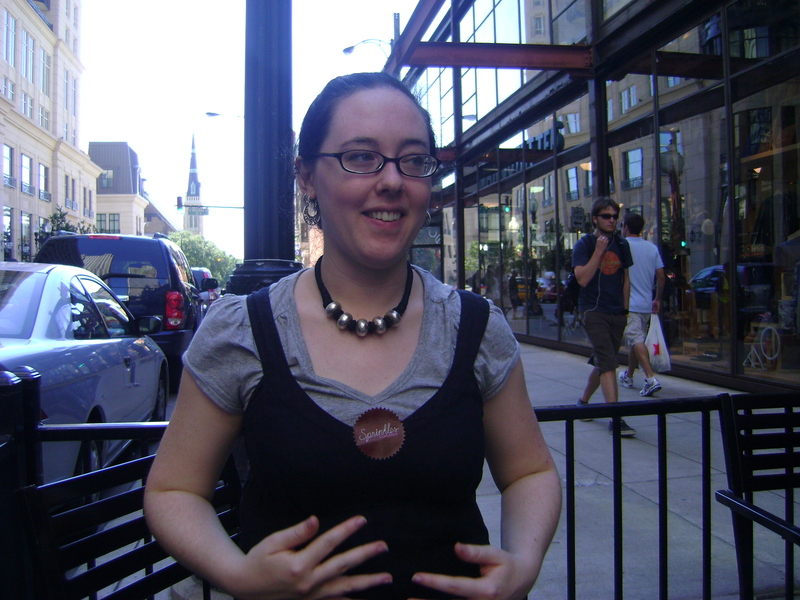 Fast-forward to the middle of August, when Flawed Events held her wedding in Chicago. We missed our flight home and got her to ourselves for a whole afternoon and after gorging ourselves on Giordano’s pizza, we decided that the best and most healthy way to finish the pizza feast was to have cupcakes. 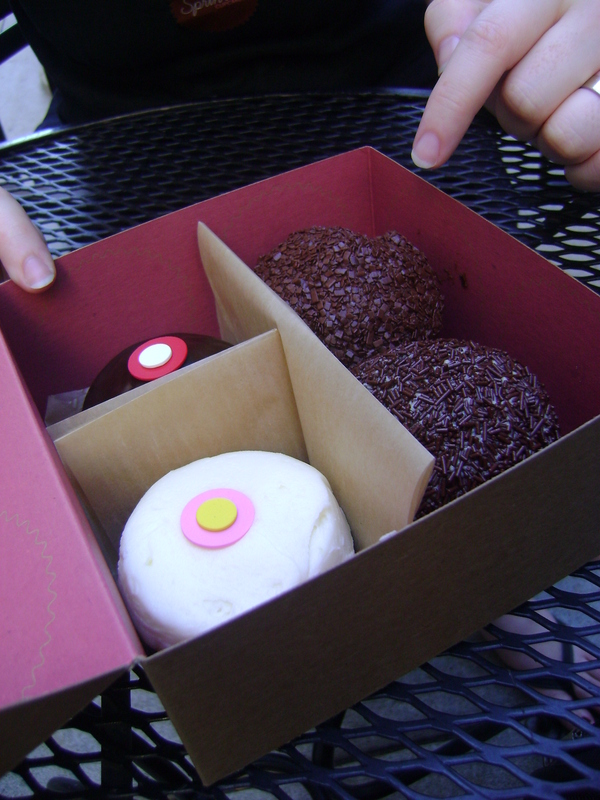 There are a few places in the Loop, but lo and behold, we were headed towards – you guessed it – Sprinkles. The line wasn’t too bad and we had time to kill, so we stood outside with the other poor saps and waited 20 minutes for $3.50 cupcakes. They do the flavors on rotation, so there was no pumpkin or chai to be had, but we got a good sampling of chocolate versions, plus one vanilla with lemon zest icing. Clockwise from the bottom left they are: vanilla/lemon, chocolate marshmallow, dark chocolate, and chocolate peanut butter. After eating a whole cupcake, I now realize why they’re so expensive. You really don’t need the whole cupcake (okay, so you don’t really need any cupcakes). The extra third of cupcake that got eaten was too much. Completely worth every penny. And worth every penny, I mean that it was delicious enough that the guilt of spending the equivalent of a third world daily salary on a pile of sugar and flour and butter took a few seconds longer to set in. Delicious, buttery guilt. Yum. Even if it’s not supposed to be. 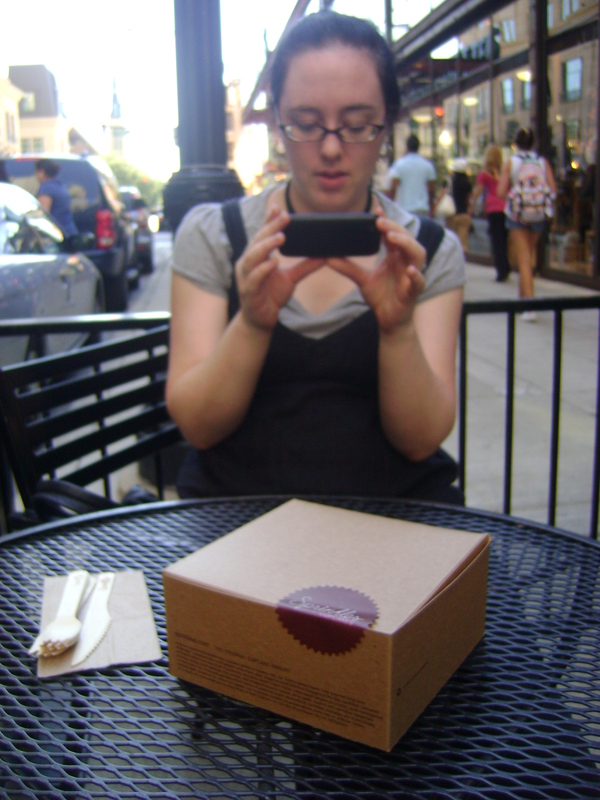 This entry was posted in General stuff and tagged chicago, cupcakes, sprinkles. Bookmark the permalink. You are hilarious. 🙂 And have a fantastic memory for flavor names! I’ll start scouting out cupcake places in Boston in anticipation of your visit. well.. that explains a lot about those ‘designer’ cupcakes everyone is always raving about! I really didn’t think about them being so rich that it was one of those things where you’d each buy a different flavor and split them a few ways.. but that totally makes sense. The pumpkin & chai ones sound AMAZING and I’m pretty sure I’d stand in line for 20 minutes for a chai cupcake.